AC3 Audio ES Viewer solution provides a structural representation of AC-3 (Dolby Digital) and E-AC-3 (Dolby Digital Plus) audio elementary stream compliant with the ATSC A/52 specification. The AC3 audio frames sequence can be investigated along with the most common parameters of each audio frame in the application’s list view. Detailed AC3 audio frame headers information is available in the application’s tree view. 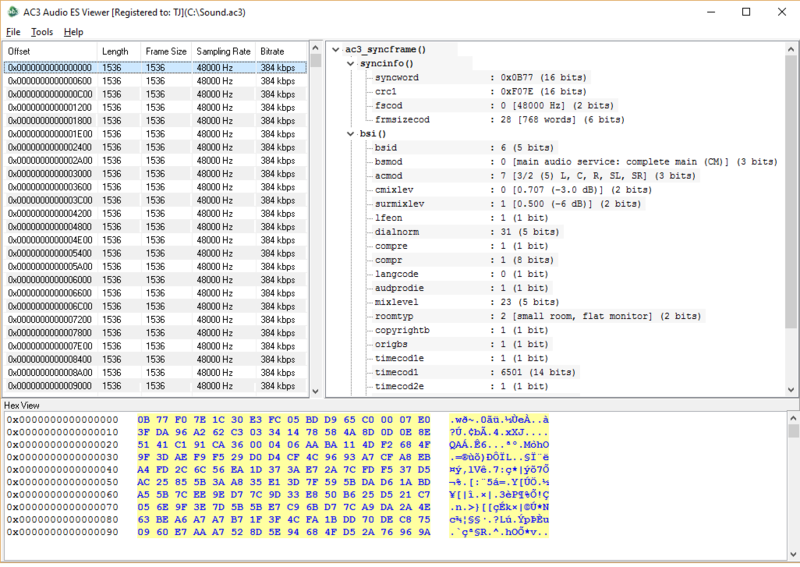 Hexadecimal representation of the AC3 audio elementary stream file is available in the Hex View module. Not sure how AC3 Audio ES Viewer will work for you? Bit Stream Information Header (bsi).